Udemy Affiliate Program Review: Can You Really Make Money? 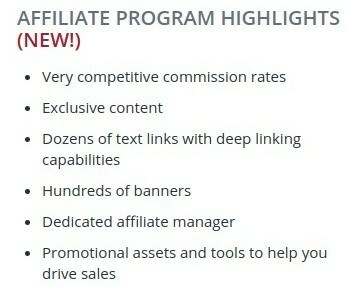 Last updated on January 22, 2019 By Nat Leave a Comment This post may contain affiliate links. We appreciate you supporting Rags To Niches! Full disclosure here. Udemy Affiliate Program Review – Can You Make Money Promoting Udemy? Udemy is a brilliant platform for learning. With thousands of courses on offer and many at reasonable prices, it’s a great option for anyone looking to better their skills in particular areas. However, you can also earn money with Udemy by promoting their courses online and it could be a good way for you to make an additional income online. Particularly if you have some experience of the platform and are passionate about the service they provide. Need help setting up a money making blog? Check out my step-by-step guide here. What Is Udemy Affiliate Program About? I’m would presume if you are looking up information about affiliate marketing programs, that you probably have a good idea of what affiliate marketing is already. If you don’t however, then this post explains it. In a nutshell though, Udemy will pay people like you to promote their courses on your blog, website, social media channels and email list. But if someone checks out Udemy via one of your, (unique to you) affiliate links and purchases a course within an allotted time frame, you make a commission. Udemy have a 7-day cookie, which means that someone will need to make a purchase within 7 days of clicking through to Udemy from your website or blog. If you make a sale, you will earn a 20% commission. If you make any additional sales within 7 days, you will make 20% of those sales too. There is no lifetime cookie set for these customers. So, if they then return after 7 days and buy more courses, you will not be paid for that. That is the main downside of this program, but not uncommon in affiliate programs. How Can Udemy Help You And Others? Udemy have tens of thousands of courses and they’re growing all the time. The courses are each arranged into manageable chunks – lessons that are easy to digest. The courses are also generally pretty affordable, so their will be courses in a majority of peoples price range. You can also become an instructor yourself and create a course based on your own experience and expertise. If you’re passionate about something, why not share it and earn from that in the process? You may be holding on to a lot more valuable information than you think and if you’re able to show people step-by-step how something is done and show them clearly, their’s no reason why you couldn’t create a popular course. Udemy also provides an additional element to Businesses. If you have a company and would like to provide your employees with additional business skills and knowledge, you can join Udemy Business. Joining Udemy Business allows you to give your employees access to 250 courses which can help them develop their skills, in a variety of ways. Before you can think about applying, you will need to have a blog or website and the sort of courses you will be promoting should have some relation to the content of your website. If you have a niche blog about photography, for example; then you probably don’t want to be promoting courses on how to be a psychic or something…. (yes, they have that course….). So, pick something related to the niche you’re in. You need to sign up to Udemy through Rakuten Linkshare, which is an affiliate network. This is straight forward enough to do, (I’m about to write a post about Rakuten, so I will link to it from here when I have…). However, you can read more about how to apply to the affiliate program, directly on the Udemy website. A plan for how you’re going to promote their courses, in detail. Links to social media accounts, should you have them. Proof you’re the owner of your site. If for some reason you’re rejected, you can email them directly and ask about it. I have found at times in the past that I may have been rejected to an affiliate program automatically by some automated software or other, but after a real person has reviewed my application, I’ve been accepted. So, it’s always worth asking! Udemy Offers Education To A Worldwide Audience. You can sign up to Udemy courses from around the globe and, unlike some platforms, Udemy DO checks out the courses to ensure that they’re decent quality. Another positive thing about Udemy, is that you can discover what courses are popular and new and their is such a huge variety of courses available, that you shouldn’t have trouble finding some in your niche. If you already have a fairly established blog and some traffic coming in, you could even contact the instructors directly and ask to have access to their courses for the purposes of review. If you say you want to promote and review their course on your website, then this is a good incentive for them and could lead to more sales for them. Alternatively, you can pick up a lot of Udemy courses on offer and at a reasonable price. Then it just comes down to promotion…. Of course, once you’ve chosen your courses and have your blog posts created, some promotion would be a good idea too. Email your list, promote via social media, or run some social media Ads – but also, ensure you’ve targeted some keywords that could generate some organic traffic for you. If you have a YouTube channel you’re building up, creating a new video would obviously help generate more views as well. Another thing you should consider, is to go back to some of your older popular posts on your blog/website and then add links in to your new Udemy course related posts (where it makes sense). Do You Already Have A Niche? Or Are You Still Planning? If you already have a niche and it’s a good fit with Udemy, then their is nothing stopping you getting started right away. If however, you’re still undecided about your niche, but still really want to be an affiliate to Udemy, then it could be worth going into an area where plenty of courses are created. If you’re a graphic designer, you may consider looking at some of the Print on demand courses, courses that teach photoshop or illustrator. I predict these courses are going to expand rapidly, with the rise of things like Merch By Amazon and now the Printful integration with Etsy. Plenty of new people will be jumping on the print on demand train and a lot of them want to develop skills to help them along the way. I would know, being one of them myself. Because I design tshirts online – but I’m not actually a designer at all. Therefore, I’ve been checking out courses on how to learn photoshop and illustrator in order to improve my design skills. If you search for Photoshop for beginners, their are not far off 6000 courses! So, if you have any graphic design knowledge, or are thinking about learning and sharing your own knowledge as you go – this could be a niche with plenty of opportunity to make affiliate commissions. A couple more areas that definitely have some highly popular courses include. Photography – helping beginners with photography looks like a good option. How Do You Promote Udemy? Once you have signed up with Udemy via Rakuten, you will have access to the Udemy links and tools. You can create affiliate links in the Rakuten link builder and deep link builder – this is where you can turn any Udemy links, into affiliate links and add them to the content of your blog. In addition to this, they will have various banners available. To use the banners in your sidebars, you just need to add some HTML code. Simply copy and paste within your widget area on your website and the banner appears on your blog. I’ve personally had terrible success with banners in general, so I strongly recommend you primarily use text links. Write blog posts – such as reviews for Udemy courses and add affiliate hyperlinks to your recommended courses within your review text. You’re also able to share your affiliate links via social media, so having an engaged following would be beneficial. 20% on each sale and also each subsequent sale from any customer who purchases courses within 7 days of clicking on your link. Udemy can be used for a wide variety of niches, with their being over 65,000+ courses available at the time of writing. People can access courses from all over the world. Courses affordable – although, this can be a PRO and a CON! Many courses I could see were around $10. 20% of $10 is only $2. So, you’re going to have to be selling a lot of courses to get a decent income from promoting them. You only have a 7-day window to earn from each customer. If someone clicks your link, but then doesn’t buy a course for 8 days, you won’t earn a commission. Also, if someone continues to buy multiple courses for many months after clicking through you, you will only earn from the courses the bought in the first 7 days. That means you will continuously need to drive traffic to Udemy courses and get new sales. Ultimately, Udemy is a great platform and their is potential here to both earn and learn from the website. Udemy is also an affiliate program that could happily run alongside many others, so you aren’t just locked into this. Recommended Affiliate Marketing Training Online? Are you already driving traffic to your website, are you making affiliate sales? Or perhaps you’re still a beginner, who has yet to make their first dollar online. Alternatively, maybe you have been online for a while, but are still struggling to make any sales. Unfortunately, many people looking to make money with affiliate marketing are often looking for a quick fix and, despite what some courses & programs tell you… This isn’t a super quick way to make tonnes of money. All being said, it can certainly be worth doing – it just takes plenty of work to get to a decent level. There is also a tonne of conflicting information on the Web about how to go about it. I get a large majority of my traffic from the search engines and it’s completely free. I generate most of my traffic using SEO techniques and keyword research – which you can learn more about in my blog guide here. While I am looking to build up my traffic more from social media channels, the traffic from Google is great – as you can write about things that people are already searching for. However, to get the highest amount of traffic, you do need first-page rankings on Google and that can take a good amount of time to achieve, if you’re just starting out. I didn’t have a clue about SEO when I first started and now have literally hundreds of different keywords ranked on page 1. This course taught me from scratch, just how to do it. They teach you how to build a website as a total beginner, how rank blog posts highly in Google and how to make money from your website. As it’s newbie friendly, even complete beginners can understand it and it’s very step-by-step. I hope you found my Udemy Affiliate program review helpful….Do you have any experience with Udemy?